Google Drive is one of the excellent web-based tools that Google offers free of charge to anyone with a Google or Gmail account. Without paying a cent you can use up to 25GB of online storage, with options to expand for modest monthly fees. This gives you an online storage facility that you can access anywhere with an internet connection, capable of handling documents (and can natively open Word documents), videos, pictures, spreadsheets and music. You can share access permissions with other users by adding their Gmail addresses, and adjust how much they are able to view and edit. It’s a hugely powerful tool for businesses, allowing universal access to a secure and well-organised system that can handle a variety of formats and applications. 1. Create Forms. One of the lesser used file formats in Google Drive is the form – these are customisable surveys that can be shared by sending a direct link or via email. You can construct a form using multiple choice, checkboxes, text boxes, scales and grids to get the exact feedback you want. Once filled in, Google Drive automatically compiles the data into a spreadsheet, making it one of the most efficient ways to conduct market research or gather opinions. 2. Attach to Email. Google’s products are designed to work together seamlessly, which is why it’s so easy to attach files from your Google Drive to your Gmail. When composing, simply click Insert Files Using Drive next to the Add Attachment symbol. Cutting down the number of steps needed to save, browse for and reattach files is a huge plus to using the Google suite, and because you send a download link rather than an actual copy of the file, there is no size limit. This makes it great for sending video or other large files. 3. Download To Computer. Although you can use Google Drive purely as a cloud-based storage system, downloading it will create a physical folder on your harddrive that is directly linked to the Drive, allowing you to add, grab, edit and navigate items inside it just like a regular folder. You can also pin it to the task bar by dragging it to the Windows Explorer icon. 4. Recover Files. 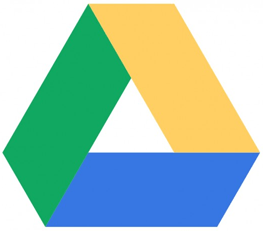 Google Drive keeps a revision log of all the changes you make to a file – for up to 30 days. This can be a real life saver if a file accidentally gets over-written, and you can even restore deleted files within this time period. Open a file on the browser version Google Drive and hit Ctrl + Alt + G to view the revision history and restore from a chosen point in time. You can also mark certain versions to never be automatically deleted, giving you a secure fallback. These extra features and tricks add value to Google Drive as a business tool, providing more features and efficiency.